If you are looking for a prime location for your business, this is it! Here, enjoy over 8 acres of land with frontage along State Highway 13 and County Road F, along the snowmobile trail, and directly across the road from the Phillips Chain of Lakes. This property is just down the road from busy downtown Phillips, and is within a quarter mile of the Price County Airport and across the road from Harbor View. 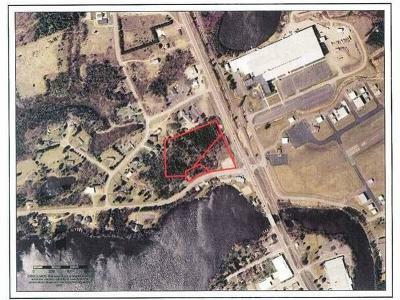 This property is zoned commercial, has a cleared area, and a wooded, rolling backdrop. If you are looking for excellent exposure and substantial acreage for your business, this is a must see. Call today for details!